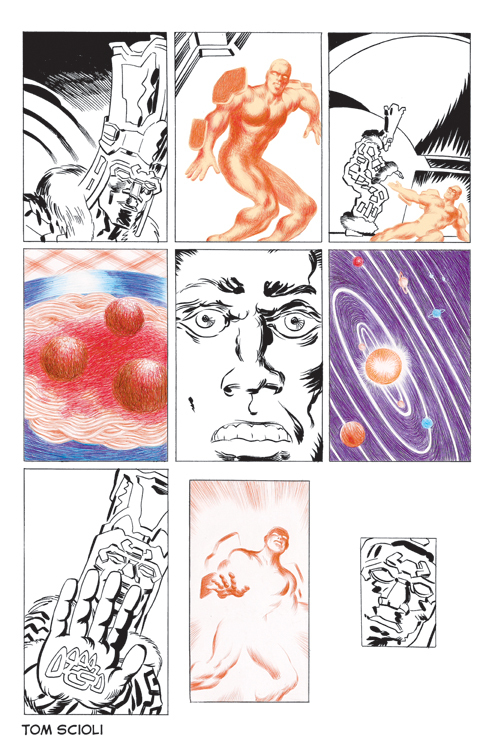 Here’s another godland page rendered partially with color ballpoint pens. If you’ve been enjoying these preview pages, please consider pre-ordering Godland #37 at your local comics retailer. Gonna buy all the trades someday, `cause that looks sweeeeeeeeeeeeeeeeeet. I’ll talk to my local comic store again about issue #37, however, since they failed to get #36 in I may have to order this one online. As ever, I’ll be getting the single issue and the eventual trade.